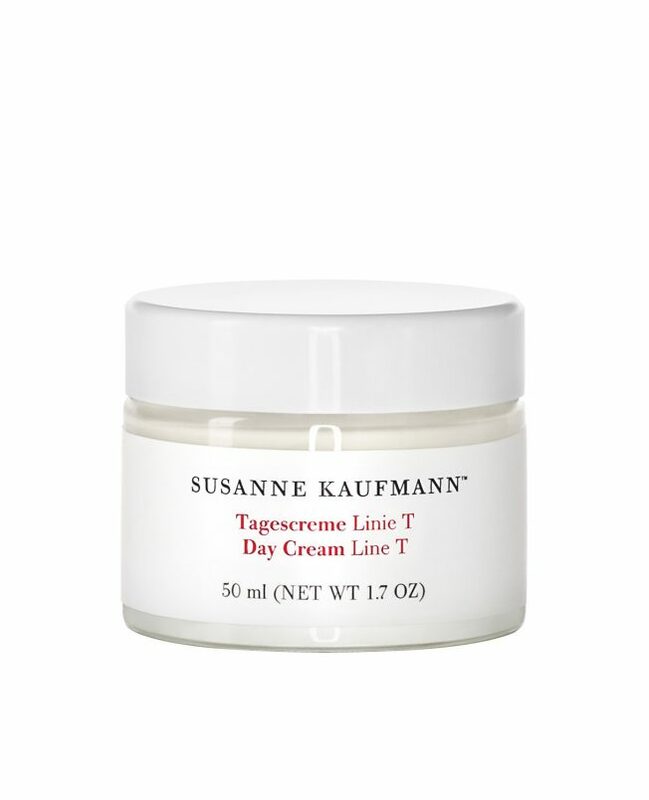 The Susanne Kaufmann day cream Line T contains an herbal complex of camomile, sage and St. John’s Wort flowers. These plants are known for their nourishing, moisture retaining and regenerative effect. Energy-rich rosehip oil is used as a carrier. It cares for and sustainably protects the skin without stressing it. Day cream Line T compensates for the appearance of defects in the skin, fills the moisture depots and increases the natural resistance. The result is a refined and balanced complexion. The nourishing day cream is ideal as a base for make-up. Application: Apply to the face, throat and décolletage in the morning after cleansing. Dry skin is immediately relaxed.